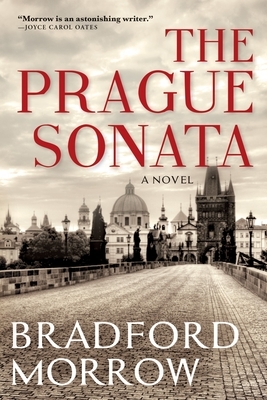 Music and war, war and music--these are the twin motifs around which Bradford Morrow, recipient of the Academy Award in Fiction from the American Academy of Arts and Letters, has composed his magnum opus, The Prague Sonata, a novel more than a dozen years in the making. In the early days of the new millennium, pages of a worn and weathered original sonata manuscript--the gift of a Czech immigrant living out her final days in Queens--come into the hands of Meta Taverner, a young musicologist whose concert piano career was cut short by an injury. To Meta's eye, it appears to be an authentic eighteenth-century work; to her discerning ear, the music rendered there is commanding, hauntingly beautiful, clearly the undiscovered composition of a master. But there is no indication of who the composer might be. The gift comes with the request that Meta attempt to find the manuscript's true owner--a Prague friend the old woman has not heard from since the Second World War forced them apart--and to make the three-part sonata whole again. Leaving New York behind for the land of Dvoř k and Kafka, Meta sets out on an unforgettable search to locate the remaining movements of the sonata and uncover a story that has influenced the course of many lives, even as it becomes clear that she isn't the only one after the music's secrets. Magisterially evoking decades of Prague's tragic and triumphant history, from the First World War through the soaring days of the Velvet Revolution, and moving from postwar London to the heartland of immigrant America, The Prague Sonata is both epic and intimate, evoking the ways in which individual notes of love and sacrifice become part of the celebratory symphony of life. Bradford Morrow is the author of eight novels, including Trinity Fields, The Diviner's Tale, and most recently, The Forgers, as well as a short story collection, The Uninnocent. He is the founding editor of Conjunctions and has contributed to many anthologies and journals. A Bard Center Fellow and professor of literature at Bard College, he lives in New York City.